Korry Deez and Uno a.k.a. raw hip hop… Enjoy! 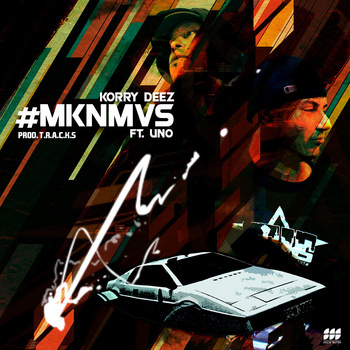 Listen and download #MKNMVS on bandcamp. “Toronto-based rap artist Korry Deez has been creating a musical utopia for years, illustrating the passion he has for creating gritty, yet soulful hip hop music from the heart. As 1/3 of Canadian supergroup IRS and cofounder of the megacity rap crew Monolith, Deez has made a significant impact on both international and national levels. Having been a regular in Kardinal Offishall’s live show for over 5 years, he has graced the stage with the likes of Sean Paul, The Bootcamp Clik, Declaime, Planet Asia, K-os, Swollen Members, Jully Black, O.C., Classified, Shaggy & J-Live to name a few.